After filling out the information, you can enter the exhibition by scanning the Chan Chao Card QR Code. (Users must have foreign nationality, place of residence or a company established overseas. Documents or business cards are required during admission for verification.) The Chan Chao Card QR Code is only valid for the issued user. * If you have more than 10 visitors, please go to International Group Visit. Buyers invite from organizer, exhibitor or corporate partner, could get one free admission after redeeming the ticket by filling out the information from the E-invitation link. * Each redeem code can only be redeemed by one person for one-day use during the exhibition period. For visits spanning multiple days, visitors will need to apply for different redeem codes. * Tickets are not sold on the first day. * Children over 80 years old and children under 6 years old are free to visit (ID requires). Please submit your bank transfer receipt by email in advance. We will confirm your payment after we receive the money. 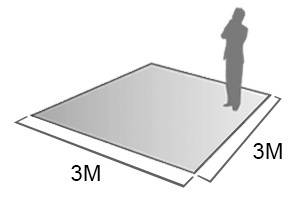 The organizers reserve the right to all booth allocation and arrangements. 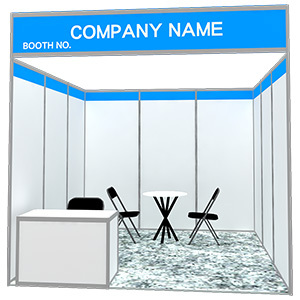 The exhibitors are organized by theme and product type. Booth allocation priority based on following criteria: -	Number of booth(s) - Date of registration and payment. Exhibitors are NOT allowed to share booth numbers with exhibitors from other companies. The booth selection meeting will be held about December, 2017. Due to the difficulty of attending the meeting for international exhibitors, you can choose your booth location by email or authorize the organizer choose for you. Upon acceptance of its application, each exhibitor will receive an Exhibition Manual, which provides detailed information about electrical installations, shipping instructions, travel agents, forwarding and handling agents, booth decorations, and fees for booth facilities. Once the 50% deposit for an exhibition booth or an exhibition fee has been paid, it cannot be refunded. Companies or institutes who violate the policies below may be removed and banned from future TIBS events for 2 years: -	Booths rented by participating companies cannot be transferred in private or utilized by companies with a name other than the company name used during application. - Products displayed by participating companies must be related to the bakery industry. The organizer will not be responsible for damage caused by natural disasters. Exhibitors are encouraged to purchase insurance to cover natural disasters.